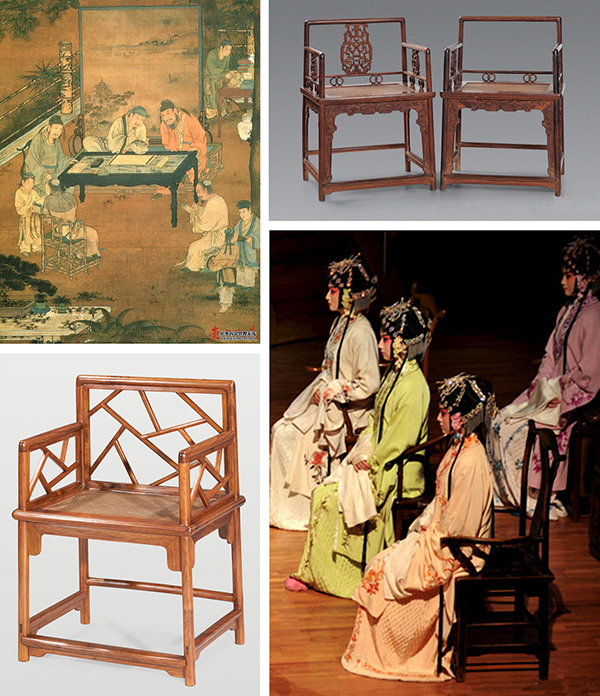 The Rose Chair is a unique shape of the chair had seen in the Song dynasty and Ming Dynasty paintings. Why would call the rose chair, in the history of Chinese furniture is no solution to the mystery, because there are no references in the books, so most people think and female boudoir furnishings surmise from its name, but there is inconclusive. "Rose," the word generally refers to the beautiful jade. 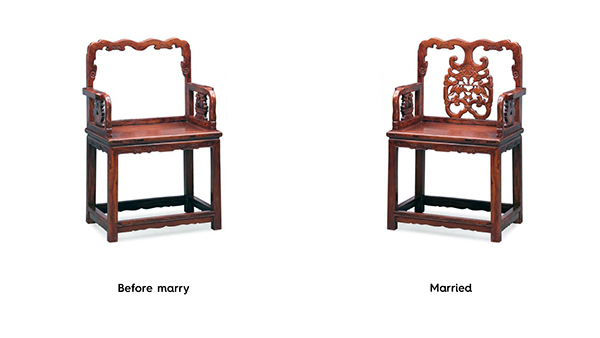 Two forms of the traditional Chinese rose chair: You Yi Wu Kao (girl) (the back of the chair is hollow which means she have to depend on nobody but himself ) and You Yi You Kao (wife) (the back of the chair has something support which means she can depend on sb). 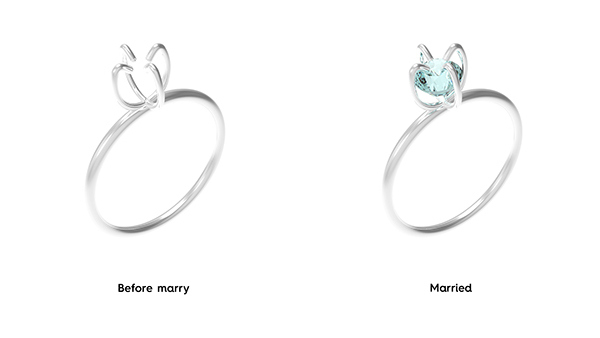 At the same time, the ring can be divided into two kinds of model: girlhood and married. 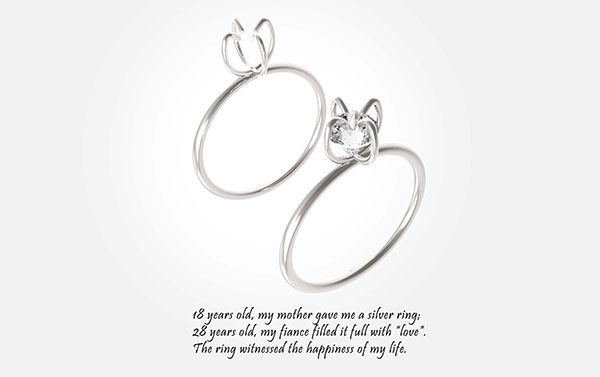 (when the girl become an adult, her mother will give her a silver ring without diamond. Until the day the girl was engaged, her fiance will embed her ring with diamond.) 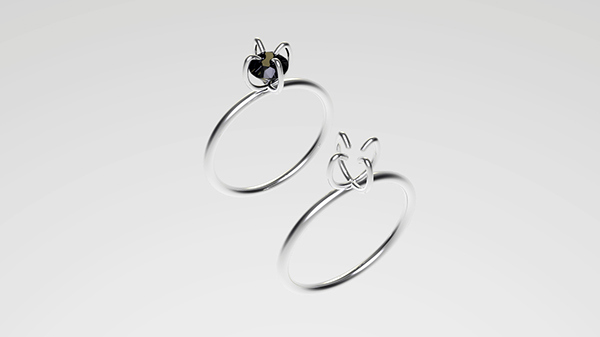 Because the material of the ring is silver, unique and flexible which can embed ring with diamond.